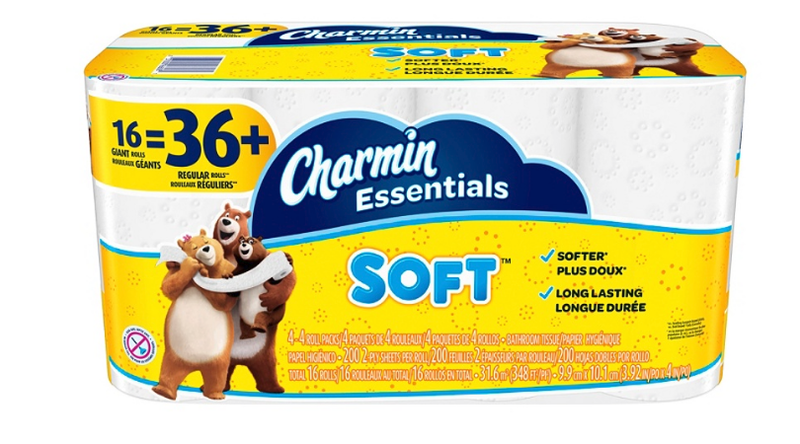 Charmin Essentials Bathroom Tissue 16 Giant Rolls (equals 36 regular rolls) Only $6! 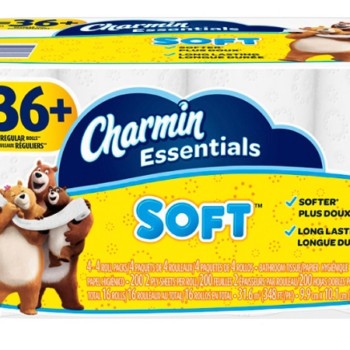 Hurry over to Office Depot where they are offering Charmin Essentials Soft Bathroom Tissue 16 Giant Rolls on sale for just $6 (limit 4)! Keep in mind this is equal to 36 regular rolls so it seems like a great deal! Choose free in store pickup or get free shipping a $35. If you need help getting your total to $35 you can also score this Bounty Select-A-Size 2-Ply Paper Towels, 11″ x 5 15/16″, White, Pack Of 6 Big Rolls for $6 (regular $12.39)!